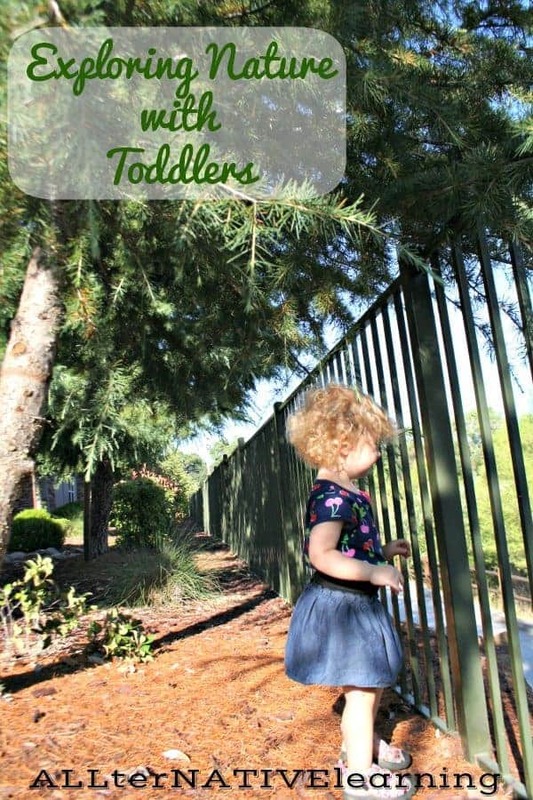 The summertime is a great opportunity to start exploring nature with toddlers — they are more free to go outside without having to bundle up, flowers are blooming, and the trees are rustling. It is so exciting even as an adult to see how everything comes back to life and enjoy it with my family. 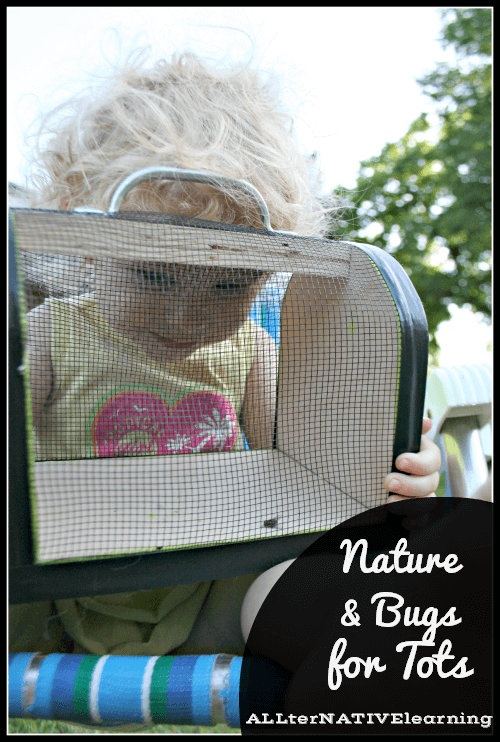 Sharing my love of nature and investigating the little bugs and insects that live around us has been a fun way to get outdoors with the nice weather and engage my daughter in some learning time. 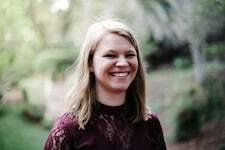 My husband and I have always gone on vacations where we have hiked through tropical rain forests, zip-lined through jungles, and climbed mountains. So nature is an important theme for us to show our daughter. We want her to build an appreciation of the world she lives in and the beauty and wonder that it has to offer. If you choose to purchase through my affiliate links, thank you for your willingness to help our family and homeschooling journey! We got a set of Insects & Small Critters Flashcards and used them on a nature walk. We went through them to see what we could find while we were out and was a great use as flashcards that was more hands-on and fun! When we would find a critter we would look for it’s flashcard and check out the cool facts about it. The Very Hungry Caterpillar by Eric Carle is a classic book that everyone should own. It is a great way to explore the seemingly magic ways of nature and investigate those little critters around us. We made our own craft extension activity to go with it to do on a really hot day. also is and it was an important part of our week in knowing that food doesn’t just randomly come from a grocery store, but that it grows in nature. To teach children about not only where animals live but how they build their own houses, Animal Builders is a great book. It’s easy for toddlers and preschoolers, but still extremely informative. Three other books about animal home are Do Animals Live in Plants? and The Old Oak Tree . All are easy to read and great for both toddlers and early readers. 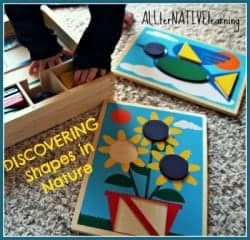 Melissa & Doug Beginner Pattern Blocks has been a great purchase for us. We used it when we did our shapes theme and periodically in other themes too. It fit well again because there is a fish, dog, flower, and other patterns that relate to nature well. How much nature can you and your child(ren) explore this week? Find out by putting together a scrapbook. This can include a leaf and flower collection, pictures, drawings, and more. Have fun and be creative! Monday – Spend an evening collecting bugs in a bug box . Bugs are typically out a little more in the evening, plus make it a game of who can catch the lightening bug first (or other insect in your area). Spend the week examining them and giving them leaves and pieces of grass. Then have a “going away” party for them sometime later in the week. Tuesday – Visit a local nature center. For us, that is Martin Nature Park. They have lots of information, exhibits (inside) of local wildlife, and trails outside to explore. This is a great time to talk about how flowers and plants grow and bloom and where animals live. We read our books about where animals live in nature on this day as well. 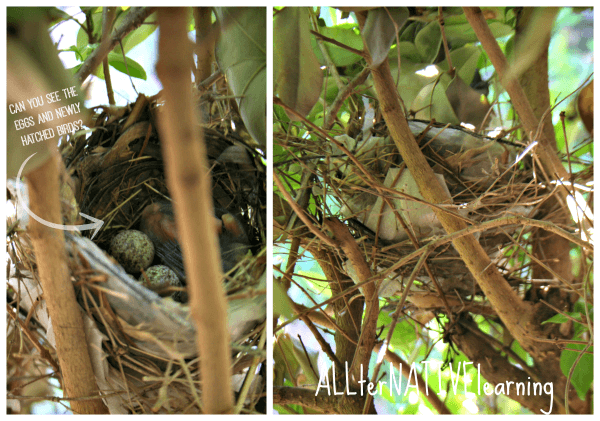 We looked (and found) a bird nest! This one was a Cardinal nest outside of our front door. Wednesday – Work on fine motor skills with a metamorphosis craft to go along with reading The Very Hungry Caterpillar. We used pouch caps, but it could easily done with beads or another material. Thursday – Let your tot play in the dirt, water, and maybe even mud. The Adventures of Adam even has a fun idea to build and make a mud kitchen. Friday – Have a picnic under a tree. This can also be a fun time to bring along books that talk a bout how our food grows! Saturday – Go on a hike or nature walk. Bring along flashcards or even just a notebook to record what you see and then find fun facts about each insect, bug, animal, and plant you see. Sunday – Go outside and water a plant. This may mean tending to flowers or weeding a vegetable garden. Don’t have a garden? see if there is a community garden in your area! Bible verse of the week: Isaiah 43:20-21 – The wild animals honor me, the jackals and the owls, because I provide water in the desert and streams in the wasteland, to give drink to my people, my chosen, the people I formed for myself that they may proclaim my praise. More learning themes are happening all the time! Keep checking the landing page for more ideas. Exploring nature with young children is fun because their excitement is contagious!